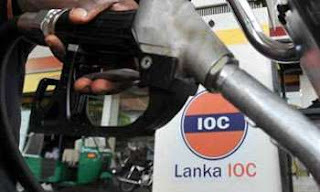 Following the fuel price revision by the Finance Ministry last night, the Lanka Indian Oil Company (LIOC) also increased their fuel prices except for Lanka Petrol 92 Octane price with effect from last night. LIOC Senior Vice President (Finance) Mr. Pramod Jain said according to the current revision, the price of Lanka Auto Diesel (LAD) would be increased by Rs.4 per liter and it will be Rs.103. No increase in the price of Lanka Petrol 92 Octane (LP92) had been made, he said. The price of a litre of Xtra Premium 95 Petrol (Euro 4) had been increased by Rs.5 and of Super Diesel (Euro 4) by Rs.8 per liter, he said. However, the price of Lanka Kerosene will remain as Rs. 70 per litre, he said. This price revision is being done considering that there was no change in duty structure or statutory charges, Mr. Jain added.